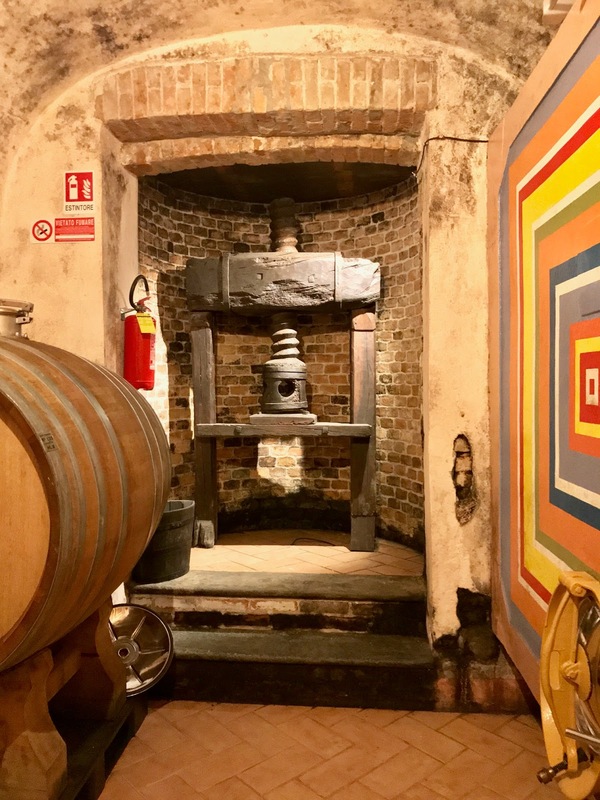 One of my favorite stops on my Piemonte journey was at Oddero Poderi e Cantine which is located in the Santa Maria area of La Morra. 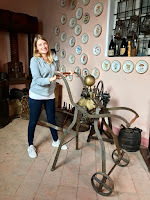 Seventh generation family member, Isabella Boffa Oddero, led the tour and tasting for me. Isabella’s grandfather, Giacomo Oddero, is the fifth generation to make wine here and her aunt, Mariacristina, currently oversees the production. After five generations of the family men building the business, this is the first time that women are in charge. 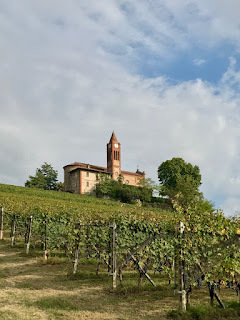 The family’s Piemonte wine grape growing roots go back to at least the end of the 18th century though 1878 was the first year that they bottled wine under their own name. A church with its own vineyard called Bricco Chiesa was their closest neighbor. The family tended the vines for years before eventually buying the vineyard a few rows at a time and eventually adding it their estate in the 1800s. The family now has about 86 acres located throughout the region and they only use their own fruit for production, they do not buy from other growers. Giacomo was instrumental in helping the area gain first DOC and then DOCG status. He has been devoted to maintaining the region's traditions from wine to truffles to hazelnut production. Isabella shared her concerns about losing some of the biodiversity around their estate as more of the area is developed. Some sites have experienced landslides from deforestation. Isabella shared that more of the region's truffles are coming from Roero now because of this as well. The farmhouse and surrounding vineyard have always belonged to or been tended by the Oddero family. The Bricco Chiesa vineyard is the historical production center of the winery and is now certified organic. As we walked back through the vineyard, the vines were heavy with grapes which were expected to be harvested within the week. Isabella explained that their vineyards went partially organic starting in 2008 and they plan to convert even more. She shared that organic vine growing is becoming more common in Barolo as the families that live there note more environmental changes. She stated, "I believe in organic, I believe its our future, but consumers who want organic products need to understand that it is a different way of doing things and it is more expensive. When problems occur, it can result in tremendous losses. It takes incredible commitment to be certified, it is quite complicated but it is important for our employees, the environment, and our own health." She shared that they have an interest in biodynamics but are not ready to pursue that certification yet though they have added some of the principles to their vineyard care like beehives from which they make organic honey. We headed back toward the winery where they have a small museum on the property. 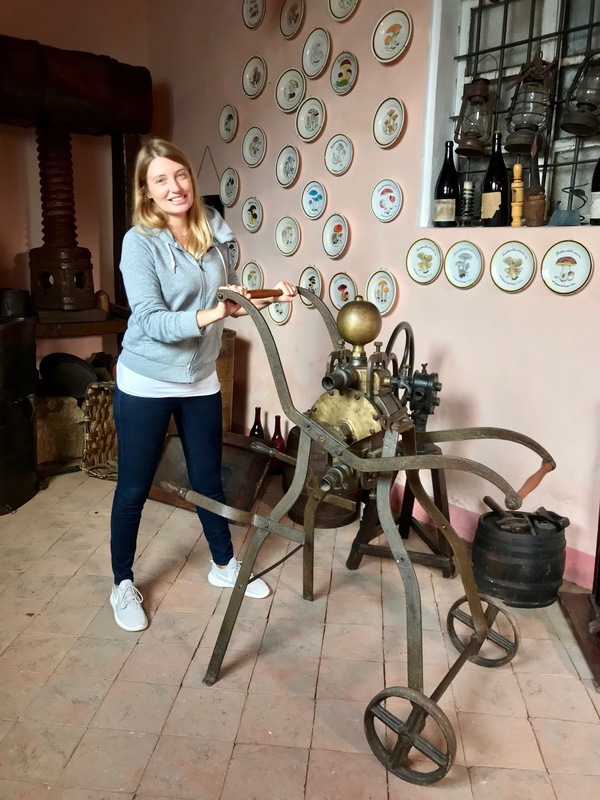 Isabella was quick to demonstrate some of the equipment used in the earlier days of production like an old hand pump from the 1800s and we picked up heavy chestnut carriers which workers used to carry 50 liters of wine. Inside the winery, they keep an ancient press which is also no longer used. It is positioned next to some groovy looking cement vats, painted by family members, that are in use. The concrete vats are for both vinification of the wine and they are also used as a temporary holding container for wine that is being transferred from the oak casks before bottling. 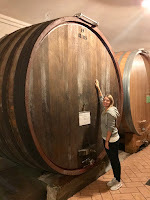 They engage in some experimental winemaking because being open to new ideas is important to them but tradition is crucial, they prefer to age their wines in large oak casks because as Isabella stated it was important to the family to "respect the identity of the territory." The original cellar was built at the same time as the farmhouse. The only change that has been made to it is the addition of new flooring that is easier to clean. It is full of different sized oak barrels, most quite large. The different containers are used for different wines though there is no formula, it can change every year. They do put Barbera in their new oak to season it, typically for 2 years, before using it for Nebbiolo wines. They make Barolo from five different single vineyards, all historical sites for vine growing with the best sun exposure. 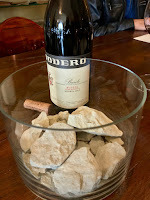 Isabella shared, "We feel so lucky to get to work with some of the best soils in Barolo." Her grandfather began purchasing the sites after WWII, when many families left the region for jobs in the city. "We feel so fortunate for his vision. With our recent addition, I finally know how he felt to obtain the lands and to know this is now mine." Last year, the family purchased a small plot of old vines in the Monvigliero Vineyard. They have not produced wine from it yet. They are in the process of converting it to organic and replacing some Barbera vines with Nebbiolo. It was wonderful to see a family business that is full of love and respect for the members and their community and to know the passion for the region and the wines will continue through the upcoming generations. Oddero Langhe Bianco 2017 - Fresh and citrusy with a mineral finish. This wine is made from 100% Riesling for the first time, it is a small production and is very difficult to find in the U.S. It is also the first year that the family has used a screw cap closure. Oddero Barbera d’Asti Superiore Nizza 2015 - Fresh, fragrant and spicy with rich, red fruit aromas and flavors and a juicy finish. This vintage came from a warmer and drier year than is typical but underground water from a rainy, snowy winter kept the vines healthy and balanced. Isabella shared her concerns about the new labeling requirement coming in two years when producers must choose between having Barbera d'Asti on the label or Nizza, they will not be able to do both. 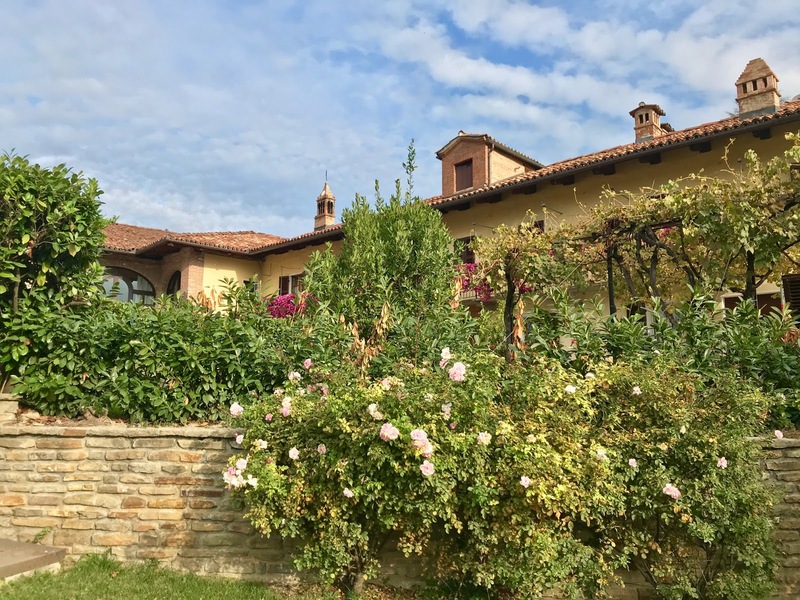 She is concerned about consumer's lack of recognition for what the Nizza designation means, beautiful location with great soils producing excellent quality grapes. She would like to be able to continue with both on the label. 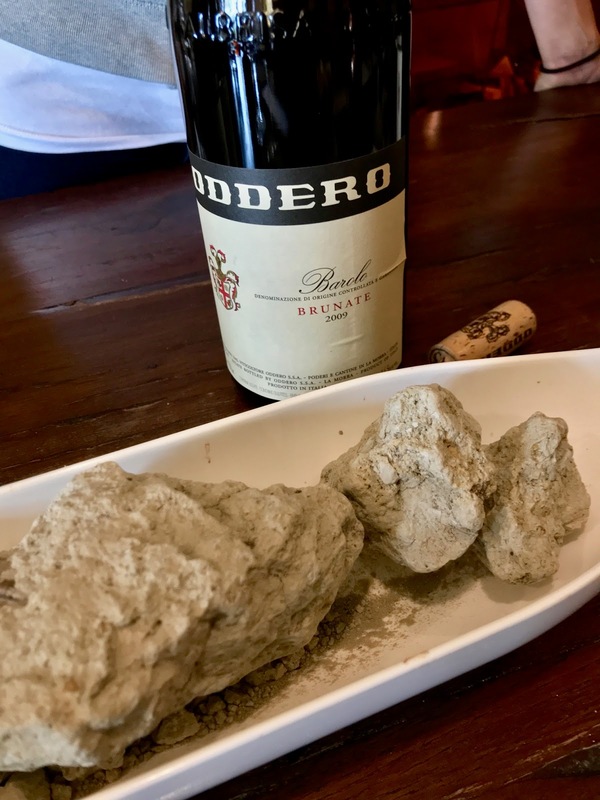 Oddero Langhe Nebbiolo 2016 - A bright, pure expression of Nebbiolo with red cherry, floral violet, dried herbs, and a hint of tobacco with noticeable yet not obtrusive tannins. Isabella feels this wine gives a nice look at what the vintage will offer when the Barolo wines are released. This wine is actually sourced from the same Barolo vineyard area but comes from much younger vines, it is a true "Baby Barolo." Oderro Barbaresco Gallina 2015 - Firmly structured yet still refined with a silky texture, very elegant and approachable with classic aromas and flavors of red cherry fruit, violet notes and a long, spicy finish. The Gallina Vineyard is located in Neive on sandy soils which receive full sun in the hotter hours of the day. 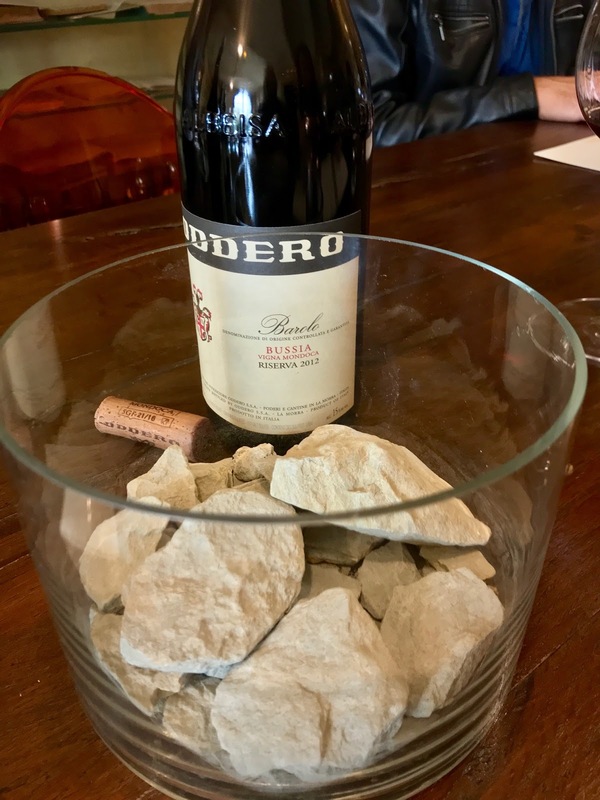 Oderro Barolo 2014 - Less red fruit nuance, more forest floor and truffles with a long licorice-laced finish, a firm structure balanced with fresh acidity. This classic Barolo is a blend of four vineyard areas this year. 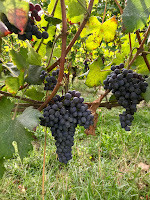 In addition to the usual Bricco Chiesa, Capalot, and Fiasco vineyards, grapes were also sourced from the Villero vineyard as they chose not to produce a single vineyard wine from that area this year. While many critics have said this wasn't a good vintage for the region due a rainy summer and hail storms, quality is present in this wine. Isabella stated, "I love this vintage a lot, I think its very classic, they did a great job in the vineyards bringing in only the best fruit, I think it is well-balanced and elegant." 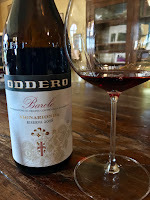 Oddero Barolo Brunate 2009 - Forest floor and red rose aromas dominate the nose with softer than expected tannins and a rounder feel flavored with red berries and dried herbs in a soft, lingering finish. The grapes for this wine are sourced from the Brunate vineyard, an organically grown historic vineyard in La Morra with 11,000,000 year old Tortonian soil composed of clay, sand and limestone, the production is small with only 1,800 bottles produced. 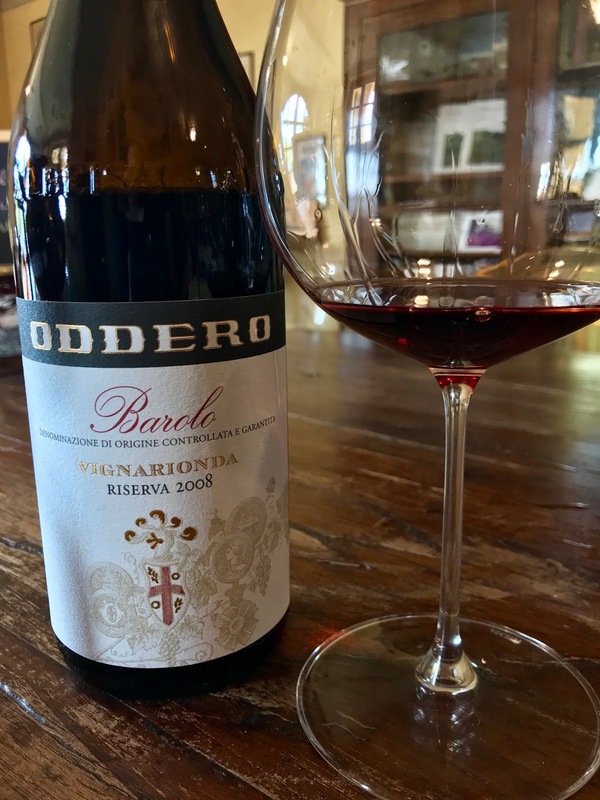 Oddero Barolo Bussia Vigna Mondoca Riserva 5 Anni 2012 - Bigger and more powerful with grippier tannins, flavored with dried herbs and spice, this wine had a long, juicy, mineral-laced finish. The Mondoca vineyard in Bussia is located in Monforte d’Alba. The vineyard has 50 year old vines that naturally produce less fruit due to the stress created by the ancient calcareous limestone soil, only 3,000 bottles produced. 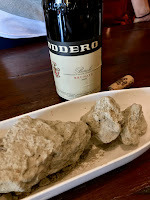 Oddero Barolo Vignarionda Riserva 10 Anni 2008 - Even at ten years old, this wine was very austere and tannic, it is less fruity with intense aromas of truffles, forest floor and a bit of tar with a lengthy licorice-filled finish. It comes from one of the most historical vineyards in the hills of Langhe. The big structure, pronounced aromas and complex flavors suggest that this wine can be aged for a very long time. The winery chose to hold it for 10 years before releasing it because of this intensity. A huge treat to try, with only 2,000 bottles produced.